The International Group of TOPTEAM includes branches in Hong Kong, Malaysia, Russia and China. Our head office and factories are located in the port city of Wenzhou in China, which is near Shanghai. We produce both very basic functional products or those which we hope will add pleasure and interest to school work and office life. For the latter we invest in design and decoration so as to create items that are elegant, with a style which will stand out. Our own factories are committed to producing consistent high quality and all our goods have been certified as safe for use up to the REACH standard. We care about our customers' health. Our products should be as safe for your body as they are pleasant to use. We deal with both OEM and ODM production. We offer our own stylish designs for you to choose from or we produce according to your specifications. We hold the following certificates of quality guarantee: ISO9001, Disney, BSCI, FSC,ICS. We pride ourselves on our quality of service. We are strictly professional. By professional we mean efficient, reliable and fully responsible. We do what it takes to develop long term, trusting relationships. We do whatever is possible to share the burden of our retailers and support their success. We look for more than a buyer for our products, we seek a flexible and responsive relationship with a lively dialogue which allows us to contribute added value from our end. 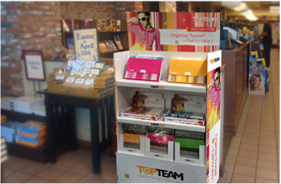 For example our free service to design display solutions for our retailers helping them to sell more. 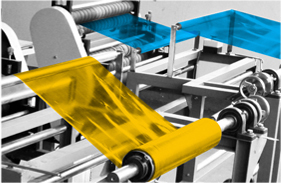 For specialized markets we wish to get our design and marketing teams involved in order to evolve marketing strategies which increase sales and develop innovative products using the latest hi-tech materials and production methods. We look to the future and we are expanding to meet its many opportunities. Why not join us?